OPPO Singapore has called for an integrated pitch. Marketing understands that the pitch will be covering media, creative, social and PR. In a statement to Marketing, an OPPO spokesperson said that the appointment is on a project basis. The pitch will conclude in February and Marketing understands the work is slated to start in March. The incumbent on the account is Mindshare for media, and the agency will be pitching again. AKA Asia was picked as OPPO Singapore’s PR partner in July last year, for a 12-month retainer, and is also pitching this time. In November last year, OPPO launched its ‘Seize the Night’ campaign in 12 markets in a bid to celebrate its new R series flagship product, R17. The 12 markets the campaign runs across include Singapore, Malaysia, India, Philippines, Thailand, Taiwan and Vietnam in Asia, while France, Netherlands, Russia and Spain in Europe. 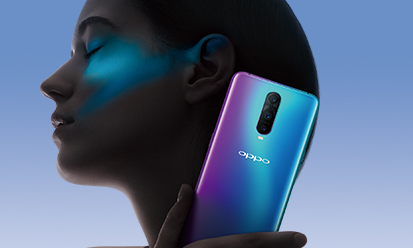 According to Alen Wu, vice president of OPPO international business, the overall aim of the campaign is to showcase and celebrate the artistic flair of OPPO users around the world, while inspiring others to appreciate the “excitement and beauty” that nighttime brings. Should more ECDs demand the CEO role? "As an industry that has created some of the most innovative and creative works, we operate in a surprisingly rigid and traditiona..